You are here: Home / Sewing Machine Reviews / Best Sewing Machines For Beginners-Our TOP PICKS! Best Sewing Machines For Beginners-Our TOP PICKS! So, you have decided to buy your first sewing machine and the question that pops in your mind is: What is the best sewing machine for beginners? Since I get a lot of questions about this topic, I finally decided to write a complete roundup of my favorite machines (18 models!!) that I recommend to friends and students. Beginner Sewing Machines: What To Look For? When I first started sewing I was so excited that I aimed for the top rated model in the market, I was serious about it and I’d like my machine to have a ‘talk to me’ feature. So I invested in one of those computerized models that would do basically everything. However, I noticed that I didn’t use most of the features as they are for intermediate sewers.There are so many options out there and I’d recommend you to think about the reason you would like to start sewing. At first it seems a silly question but sewing machines have a variety of features that will suit different desires. For instance, if you wish to sew your own garments, you might need a sewing machine that will offer button holes making or other finishing options, or maybe you would like to do some home decoration, so a heavy duty machine would be the best as upholstery, cushions and curtains fabrics are usually medium weight. When looking at all the different models and determining what would be the most beneficial, we took a few things into consideration. Each of these were sought out for every model, and we tried to mention for each machine what the opinion is. After looking at each section listed above, we put together the list below to make your search for a great machine as easy as possible. Buttonhole styles and steps; the one step can make buttonholes easy and very accurate, whereas the 4 step can allow for mistakes and takes more time (especially for new users). Tension control; if there is no control, it can complicate certain types of projects. Feed dog control; some projects require thicker materials and without control over the feed dog, it can be challenging to keep the materials from getting caught in the machine while sewing. Built in stitches and how useful they are. Too many decorative stitches and not enough basic stitches is useless for most projects. Light; without ample light, many new sewing enthusiasts can make simple mistakes. Speed; if the machine isn’t capable of higher speeds, stitching can suffer with certain materials. Automatic needle threading; even though you can manually thread a machine, having this option allows for persons with lower coordination levels to enjoy sewing. After checking each machine for these features, we thought it would be important to actually see what testing had taken place for the machines from real people like you. Research Method: So we read through hundreds of remarks and comments (good and bad) left by consumers, in order to get a grasp of what issues they had when personally using the machines. We have included some of these on each section, so that you are able to make an informed choice and don’t just take our word for it. Each of these would have a major impact on the overall experience you would have as a new user. So we thought it important enough to research them all here and offer you the fruit of our labors. We have also included information as to why we would buy these specific machines based on this criteria. Hopefully you are able to use the information to find the right brand and machine that will suit your needs. And if you have any suggestions or comments, please feel free to leave them below so that others can learn from your personal experiences too. Have a look at the different models below and find out the right machine for you. And if you have never owned or used one before, then check out our sewing machines buying guide before you start shopping. We also have a discussion below about the difference of computerized vs manual models. It is amazing how tech savvy people can be, especially kids. Hand them some high-tech gadget and they will have it figured out and even find some hidden features you never even knew existed. If you are a beginner seamstress who just thrives on tech gadgets, than computerized types of model may be more ideal for you. Here are several additional brands you can look at and compare features (along with prices) to other sewing machines previously mentioned. You may find one that just calls to you with the LCD screen, LED lighting, touch pad, and other high-tech features. For sewing companies to stay competitive, they will have to offer more features that appeal to a wide range of sewists at ideal prices. So we will see even more computerized sewing machines offered that are budget-friendly. So don’t think that you can’t find a great, low-priced computerized model. Depending on the offered features, you can find some at really low prices in my own opinion. Just keep in mind that the higher the prices go, the more features and capabilities that will be offered as we included several machines in our list with prices a bit on the high side. Yet all these offered machines have something for everyone so people can further enjoy their sewing hobbies. But it’s not only the affordability and ease of use that catches the new sewers attention. The CS 6000i is packed with promising features that will also make any sewing project have a high standard finishing such as; 60 built-in different stitches, including decorative stitches and 7 styles of one-step buttonholes. The one-step buttonhole is ideal for beginners, as there is less chance of encountering a misshapen buttonhole or one that isn’t completed due to a lack of experience creating them. Choose from the 9 included presser feet that will allow for many types of projects to be completed including many decorative and functional options. Use the detachable, over-sized table for larger projects such as quilting, embroidery and detail stitching that requires free arm space or for large blankets and coats. The LCD display is very easy to navigate and easy to read. This machine has an automatic needle threader, threading diagrams for guidance and sewing speed control (you might want speed when having more skills!). So even if you are not quite sure how to thread your machine, there is simple instruction available on the front for you to follow. And you can visit our Learn How To Sew section for further information on the parts of your machine used for threading. Check out our Brother CS6000i Review to know more about it. For beginners who are interested in a portable, computerized sewing machine, the Brother Designio Series DZ2400 is a great deal for both a sewing and quilting machine.It only weighs 10lbs, making it perfect to take to classes or move from room to room. Yet don’t let the light weight fool you as it has 185 built-in stitches and 12 sewing and quilting feet. 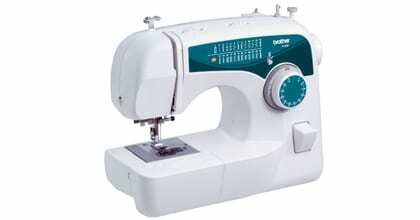 It offers a large LCD screen, 8 buttonholes, and an included wide table for large sewing projects. While it might seem like a lot for a beginner, the Brother Designio Series DZ2400 is good for people who are looking to learn how to eventually design and make their own clothes. By learning on an actual designer model, you can have an easier time figuring out all the different features and functionality that are available. You’ll be able to grow and advance your skills at your own pace. The Brother Designio Series DZ2400 also is more ideal for the budget versus other designer brands that could cost you a few thousand dollars to purchase. It provides enough features to get started and finish the projects no matter how big or small the sewing task is. I wanted to include another quilting and sewing machine on the list that will also appeal to people who are at every sewing stage: beginner, intermediate and advanced. The Brother XR9500PRW is in the Project Runway line designed for embellishments, alterations, and clothing creations. There are 100 decorative, utility and heirloom stitches available along with 8 one-step buttonhole styles, 140 stitch functions, a needle-threading system, an automatic bobbin winder, a large LCD screen and included accessories. The machine also allows for large quilting with the expandable table. It includes 7 presser feet including a monogramming foot along with a built-in sewing font. All the convenient features makes this machine a top-notch buy for decorative sewists whether they want to sew projects for themselves or eventually become a professional sewist who offers crafts for sale. Brother machines have shown time and time again that they are superior on the market. The Brother Project Runway CS5055PRW is great for first timers, intermediate and advanced sewist. This is a machine that you can grow into with your skills. It has 87 stitch functions and 50 sewing stitches. While you may never use that many in your entire lifetime, it’s still good to know that you have abundant options to choose from when you are taking on more projects. The 5 one-step buttonholes, automatic threading and LCD screen are additional features that will have you making alterations or designing your own clothes. The Brother Project Runway CS5055PRW has no speed control. Yet it has a strong motor that maintains a good speed so you will have quality stitches for your sewing projects. It won’t overpower young beginners while still giving good speed control for more expert sewists. The last sewing machine on our list of computerized models that are perfect for novice seamstress and the budget is the Laura Ashley Limited Edition CX155LA. Laura Ashley Limited Edition CX155LA is ideal when you are looking for a machine for some home interior designing whether you want to make drapes, blankets or slipcovers for the sofa. It has 11 sewing and quilting feet, 155 built-in stitches, a sewing font and 8 styles of one-step buttonholes. When you are a beginner who wants to one day make curtains and quilts, the Laura Ashley Limited Edition CX155LA will accommodate your projects. You can place on a wider table that can even let you do king-size quilts as you will have 33% more room to maneuver the fabric about. With the variable speed control and jam resistant drop-in bobbin, you can just let your creativity out for all of your projects. Singer’s reputation has been on top for decades, and is still one of the best sold brands due to its liability and great results. My favorite among them is the Singer One Easy To Use. Check out our in-depth review of it here. The top drop-in bobbin takes the confusion out of bobbin loading. The arm extends farther than is usual on a machine to make a space working surface. The heavy metal frame keeps the machine firmly in place and eliminates any uneven stitching, giving you stability. The automatic tension feature adjusts the tension according to fabric type. This allows the machine to determine how tight to keep your thread while stitching, to keep from knotting up due to being too loose. This can be seen as a pro or a con, depending on what your preferences are and your most common type of project. It will also have an affect on the type of materials you use, as the thicker your materials are, the less tension you would need. In addition it offers a 24 Built-In Stitches, 6 essential, 4 stretch, 12 decorative and 2 fully automatic 1-step buttonholes. Singer 7258 it’s a up-to-date digital machine, in other words it has an on-screen digital display where you can easily and rapidly change stitch settings. It is very silent as well! Its features offer a stop and start sewing or raise and lower the needle so you can sew any fabric thickness. This is ideal for decorative sewing, as some stitches require the needle to be started in the down position or to the left or right of a presser foot. Not to mention 100 stitch options including 76 decorative stitches so you can sew a variety of garments. For more information on stitches and what they are each used for, check out our Learn How to Sew series. Read our Singer 7258 Review for more information about this model. You have to sew 30 small, similar craft projects for a fundraiser or for sale. The Singer 8763 Curvy is perfect for projects that doesn’t require a lot of fuss or changes to the fabric. This machine is computerized, yet it doesn’t have an LCD screen that may be distracting to some people who are trying to concentrate on moving the fabric and placing in the stitches. Instead, it has easy-to-use buttons and pictures of stitches along the front. You push the button until the light pops on to indicate which stitch you have selected. The Singer 8763 has 17 decorative stitches, 6 basic stitches, 5 stretch stitches and two buttonholes to give you a total of 30 built-in stitch options. An awesome feature is the Swift Smart Threading system. This automatic needle threading system allows you to quickly thread the needle with ease without any frustration. The one thing to keep in mind about the Singer 8763 is the tension control. When you are working with different fabrics on a really frequent basis, it can take some time to get the tension right. If Singer fixed that, this machine probably would have made my top picks list. Yet other than this minor issue, the machine is perfect for starters and people in the intermediate stage who is looking for a sturdy, computerized machine that packs enough features and accessories to make it worth your money. When searching online or in your favorite craft store, you may run across a few that are mechanical. This term means that there won’t be any type of LCD screen or sensors to help out with changing the controls. You will have to do it by hand. Yet you shouldn’t ignore them when looking for one for a beginner. They are great learning tools. Since you are doing everything by hand, you get to learn the controls more intimately, as this technique can build up your confidence. I’ve decided to create a section to talk about several models under this category that you should also take into consideration along with my top picks and best bargains already mentioned in this post. Just because a machine is designed for beginners doesn’t mean it should have fewer features. The Singer 2259 Tradition Easy-to-Use Free-Arm is a well-rounded machine that is budget-friendly for people who don’t want to spend hundreds of dollars.Top features include the 19 built-in stitches along with the adjustable stitch length feature to create customizable stitches. The wide range of decorative stitches and stretch stitches will allow you to do a wide range of sewing projects so you won’t be limited in what you can do. It also has really good tension control so your stitches look better and have a finished appearance. Singer machines have been around for a very long time. Since most people enjoy the features, the company hasn’t really sought to make any grand changes to their machines. So the Singer 2259 Tradition will sport many of the same features found in the rest of the Singer model line such as an automatic needle threader and snap-on presser feet. This makes learning about sewing projects easier if you started on one machine and then need to switch to the 2259 Tradition because you let someone borrow your old one. The Singer 4411 is a manual machine that can get overlooked by the more flashier brands on the market. Yet don’t get thrown off by the gray exterior. The Singer 4411 is very powerful, as it has a strong motor that allows you to make 1,100 stitches per minute. I’m including it on this list that you may want to compare and consider because of the motor that allows you to create sewing projects using heavier and thicker fabrics. The features on this machine are very straightforward. It has 11 built-in stitches and 1 four-step buttonhole. Due to its sewing speed, the Singer 4411 has an interior metal frame. So you won’t have to worry about it rocking and skipping stitches so long as you place it on a sturdy, heavy table. It also has a drop-in bobbin, which is basically sought after by most sewists, as the controls are simple to understand. The Singer 4411 is a budget machine. While you may get better quality stitches with others mentioned in this list, it is durable and perfect for beginners to learn on and have for a long time while not shelling out tons of money on more extravagant machines. 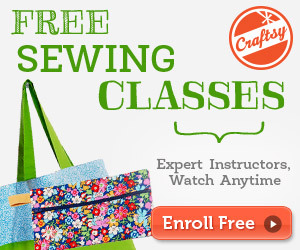 It will definitely show you how to sew and still surprise you with its additional features. Brother XL2600i is a machine for any level. It can easily be moved around because of its light weight, and you then have the opportunity to explore every feature offered if you need to go to a sewing class for instance. Features include 25 built in utility and inheritance stitches with each basic stitch having several stitch functions, free arm sewing, a needle threader, thread cutter, drop in bobbin and auto winding system for the bobbin makes it very desirable. Front loading bobbins have a habit of jamming easily and are harder to load, causing the thread to knot up regularly so the drop in is ideal for a new user. The top feature is the auto one step buttonhole feature, which means you don’t have to practice how to create them as with the traditional four step. You just need to set the hole size, attach the buttonhole foot and watch as it has been formed perfectly without too much effort on your part. Even for experienced users, this is a sought after feature due to the ease of use. (And the headache avoided by creating a 4 step). Although it is not computerized like the last model mentioned, it does offer the auto bobbin winding which makes it simple for first time users. Read our Brother XL2600i review to know why I think it’s worth checking for. Brother LS2125i is the novice seamstress’s best friend. It is a very affordable while meeting the basic needs of a novice tailor.It has easy-to-use 10-stitch functions and is lightweight, portable and compact considering its fully-packed features that new users will definitely adore! The stitch quality is neat and well-formed, offering straight, zigzag and overlocking stitches options. The overlock stitch is used to keep edges from fraying and coming apart, so having options for this can mean different finished looks. One of the best findings is the stability offered with regards to sewing, such as free arm circumference, buttonhole options and elastic stitches. When dealing with elastics and buttonholes, if your machine is not stable it can cause stitch jumps and headaches when having to tear stitches out and slow the machine down. Read our full review of Brother LS2125i . In addition, you can adapt double needle for more decorative edges. The double needle feature allows for you to get the most even and perfectly spaced double stitching with a perfected finished appearance and a stronger hem line. The main feature of this machine is the simple instructions that won’t make you lose the will to sew! The downside of it is that the foot lever position is different from most of other sewing machines and there isn’t instructions for adjusting the thread tension for the bobbin case, so if you’re a beginner you might need help on this. First time sewing machine buyers should definitely consider the Brother XL2610. It is a great inexpensive starter machine that softly and easily guides the user with convenient features. The directions are very easy to follow, and a stitch chart on the front of the machine makes it simple to find exactly the right stitch and set the dial correctly. The Learn How To Sew section offers more detailed information on stitches and what each one is best used for. Read our Brother XL2610 review for more info about this machine. Its features includes: free-arm with 25 built-in stitches and 59 stitch functions, automatic buttonholer, automatic needle threader, built-in thread cutter, drop-in bobbin system and automatic bobbin winding system and “sewing notions for beginners”. Janome 7318 is a strong and reliable with simple structure and pretty advanced features. It is considered one of the great basic sewing machines for novice, being suitable for all types of fabrics. It boasts a 4-step buttonhole maker, stitch length adjustment, reverse lever, stitch selection dial and thread cutter, among others to provide a variety of options if you want to cover all areas of sewing. The four step buttonhole takes a bit longer to create, but will aide in teaching beginners their creation. This requires the user to set up the buttonhole and execute each side, instead of a one touch option that completes on its own. So while you’re learning the basics of sewing, this machine will attend you till you reach the intermediate level. The Learn How To Sew Section offers more information on creating a one step and four step buttonhole. Check out our Janome Magnolia 7318 Review to know more about it. For those who wants quality but can’t afford it, the Janome 2212 is for you! This is a mechanical machine with 12 built-in stitches and a four-step buttonhole. Dial pattern selection and stitch width adjustment as well as length adjustment makes its operation straight forward. Great features like a free arm and drop feed gives you the option to sew larger projects unlike the previously mentioned 7318 model. Free arm use is ideal for decorative stitching, quilting and the drop feed feature allows you to use more layers at a time without bunching. Check our full review about it here and learn why this model is one of our favorite in the durability category. Like a lot of manual machines on the market, the Janome HD1000 is appealing to beginners who are looking for a heavy-duty machine that is still simple to use. The Janome HD1000 has a cast aluminum frame and a plastic case that makes it great to move it about, although I wouldn’t really call it a true portable machine as it has a weight of about 16.8 lbs if you are looking for a true portable ones (plastic models can weigh as light as 9 lbs). Yet it is a solid machine, as you won’t feel afraid to really put it through its paces with tons of projects and a wide range of fabrics. The 13 built-in stitches and 1 four-step buttonhole are easy to use as the best feature about the machine is that it can handle heavier fabrics such as denim and canvas. It also comes with a ton of extra accessories that include a hemmer foot, buttonhole ripper, seam ripper, zipper foot, buttonhole foot, and a hem guide. Although it doesn’t come with an LCD screen, the controls are simple to understand for beginners. The only drawback some people may find is the bobbin, which is not a drop-in. Instead it has a bottom-loading bottom as you need to be careful in not jamming the needle. Yet once you start working on it, it won’t be a disappointment as it definitely lives up to the price. The Janome HD1000 is perfect for everyday used and practical projects such as clothing, drapes, and other household tasks. This, of course, is not the full list of mechanical, manual sewing machines that are available. Yet these ones are ideal for beginners as they will allow you to hone your skills and improve them until you build the confidence to work on harder projects. These machines are also versatile, as you will be able to become an expert sewist and still be able to use these machines without switching to something with more features or technical controls. The brands listed above will vary in prices depending on where you purchase them and if there are any sales being offered. So continue to shop around and find the best deals that offer the right amount of features at the price that you can afford for a beginner machine. Also, keep in mind that you won’t have to toss the sewing machine away when you leave the beginner phases. You still can work with most beginner machines in advanced sewing stages. It just depends on the types of projects you normally work on and the features you need to complete them. Brother SE400 is an updated version of a previous model SE350. The new model comes with a handy USB port so you can download various embroidery patterns and stitches. You can never get tired of styles. If you want to know read more about it, go to our Brother SE400 Review page. I think it is a great machine for beginners because of its features and lower price compared to most machines out there, it’s a good investment for those who want to get heavy on embroidery as well as other sewing projects. With embroidery being so detail oriented, having numerous styles to choose from is ideal. From coats and hats to purses, pillows and blankets there is nothing you cannot embellish with flair using a quality embroidery machine. The most common stitch types used in embroidery are: running, chain, blanket, cross and satin. The capability of a good machine to use more common sizes of loops is a must, especially if you decide to take on professional jobs. Digital software capabilities as well as numerous types of fill stitching are things to look for in this type of machine, as hand stitching the design can be time consuming and leaves room for error. Creating custom made appliques, personal designs and adding your own touch to any completed project will set it apart from others. Even if you have never used an embroidery machine before, the Brother SE400 allows for users of all skill levels to have the chance to add this wonderful embellishment to projects with ease. Computerized VS Mechanical Sewing Machines: Which to Pick? When it comes to sewing machines, there are so many different models and designs that it can be a confusing process. There are embroidery sewing machines, industrial sewing machines, and even machines that can help you make fashion clothing. Yet many novice seamstress get confused when they are comparing mechanical and computerized sewing machines. Both rely on electricity to run and can offer all the basic stitches. Here is a simple guide to demystify the difference between a mechanical and a computerized one. Then you can use this information to find a good starter sewing machine based on your skills and the types of projects you want to make. Mechanical sewing machines contain gears and working parts inside a plastic or metal housing. The machine will also feature knobs, buttons and switches that requires the sewist to adjust before sewing any projects. This includes selecting the types of stitch patterns that are desired and adjusting the thread tension. It runs on electricity as the user controls the speed with the use of a mechanical foot pedal. To perform certain sewing functions, you will have to purchase the accessory and install it on the sewing machine. 1. Mechanical sewing machines are economical if you are trying to save money. It is ideal for first timers because the sewing machine can teach you all the processes and procedures so you understand how to make adjustments. 2. Mechanical machines will have all the basic stitches so you can make simple projects and mend clothes. There are also brands that excel when doing heavy-duty projects. Yet some mechanical machines will be limited on the number of stitch patterns and buttonholes it can perform. More experienced sewists may find mechanical sewing machines limited to their needs when making advanced sewing crafts. There are no automatic features available on mechanical machines. Computerized sewing machines also run on electricity as there are less mechanical parts inside the casing. Instead, microprocessors and memory cards are used to store stitch patterns and other sewing functions. The computerized machine may have a LCD screen that you touch to select the stitch pattern. You can turn on the button as the sewing machine controls the speed, or you can attach a foot pedal for more speed control. Some models can also be hooked up directly to a computer where you can download additional functions. 1. Computerized sewing machines are great when you are looking for more functionality at the touch of your fingertips. You don’t have to buy a ton of accessories because most of the functions are automatically available. 2. They offer a more professional look to projects because the machine does most of the sewing and adjustments for you. Intermediate and advanced crafters can make a wide range of projects on these machines. One disadvantage to computerized models is the cost. They will be pricier than mechanical machines. Also, a beginner sewist doesn’t have the opportunity to learn the basic functions and hands-on adjustments. Some computerized sewing machines can also be overly complicated for beginners or people who are not technologically-savvy. Unlike heavy-duty mechanical machines, some brands may not last as long if you are doing a lot of sewing machine projects. When you are trying to decide on a sewing machine, you have to keep your personal preferences, present sewing skills and your budget in mind. Everyone is different and will have different needs based on the projects that they will normally do. So research sewing machine brands and features to decide on the perfect one for your sewing crafts. These are the best sewing machines for beginners that we gathered in our research. Each of them would help you create fabulous sewing projects. Most of them are easy to use and are really good starters especially if you have never used a sewing machine before. They will help you achieve a professional finishing and most of their features allow you to sew a variety of fabrics. You may also want to refer to our troubleshooting guide to help you save some time(sanity!). Also check out our section on projects for ideas on how to get started with your new machine. If you want to read more reviews,check this page. Our #1 pick is the Brother CS6000i model machine. It not only offers the 850 stitches per minute top speed, but allows for all of the features we look for the most. Being computerized, it gives you the options for adjustments that many others do not, and you are able to get precise work out of it unlike manual machines with dials. The capability of working with any kind of materials makes it versatile, and the adjustable feed dog will allow for you to take on any kind of project. The larger than most work space and expansion table makes this a great buy for experienced users or newbies, as elbow room and area to see details are imperative for comfort. The 60 built in stitches and 1 step buttonhole make this ideal for a new user, so as to avoid confusion. Not only can new users take advantage of the ease of use, but experienced users will enjoy the machine as they take a new project on with the extra time they will save. The #2 pick is the Janome Magnolia 7318, and the main reason it was not the top choice is that it lacks the coputerized options. It is ideal for new and experienced users as well, and has a large working space so as to accomodate many types of projects. 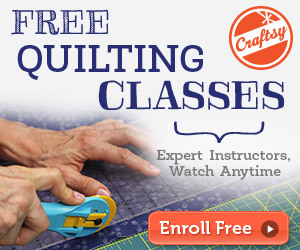 It does not offer an auto winder or needle threader, but is free arm capable so quilting and embroidery are possible. The top stitch speed is 830, and there are 18 built in stitches which is one of the only other reasons it did not take the number one spot. The #3 pick is the Brother SE400 model, because it offers a one step buttonhole and 10 buttonhole styles. The auto bobbin winder, extension table and storage case are the only features lacking. The overall speed is the lowest of our favorites, but the 67 built in stitches make up for the speed. Users of all skill levels would be delighted to have this model, as it is as versatile as it is handy to have. The reason it took third place is that the speed at 710 stitches per minute leaves a little to be desired. Overall it is an ideal buy for a beginner seamstress.